Redknapp in line for Cole reunion? | The Transfer Tavern | Where football transfer rumours fly or die! Hoops to plan raid for Liverpool outcast? One transfer story on the agenda over a few weekend beers in the Football Transfer Tavern, concerns the future of Liverpool midfielder Joe Cole, with Paul Kelso of the Telegraph claiming the 31-year-old could be set for a reunion with Harry Redknapp at QPR. It hasn’t taken Redknapp long to get back into the swing of things, with the former Spurs manager already finding himself linked with a host of big names as he attempts to save QPR from the drop. French striker Loic Remy, and even Chelsea’s Frank Lampard have found themselves linked, although it seems Cole is the most realistic option. “I was interested in Remy at Tottenham but that was then. It’s a different situation now. He would be expensive. It all depends where we are in January,” Redknapp said. 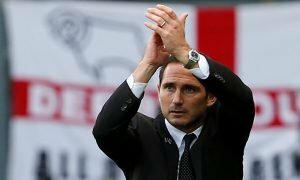 Redknapp also showed he has not lost any of the wit and humour that has made him such a media darling, as he dismissed suggestions of a move for nephew Frank Lampard. Shall we raise a pint to Paul Kelso or is Cole staying put? Vote in our polls below.